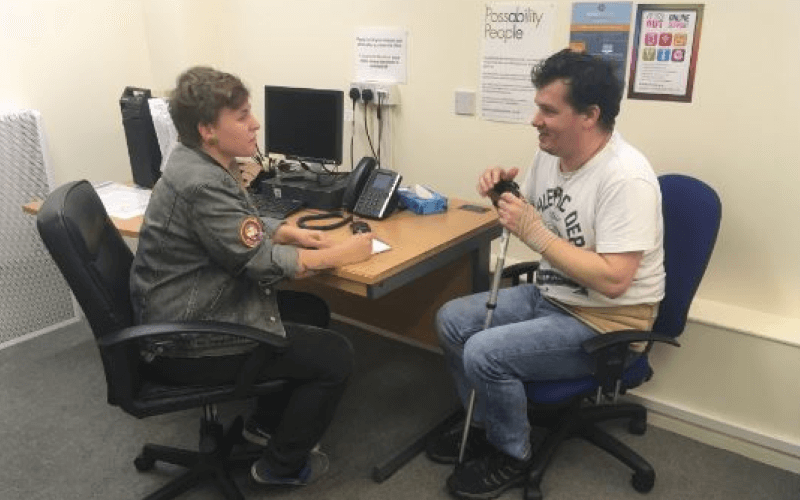 Many of the country’s leading disabled people’s organisations (DPOs) have backed calls for a new, national network to represent user-led groups across England. 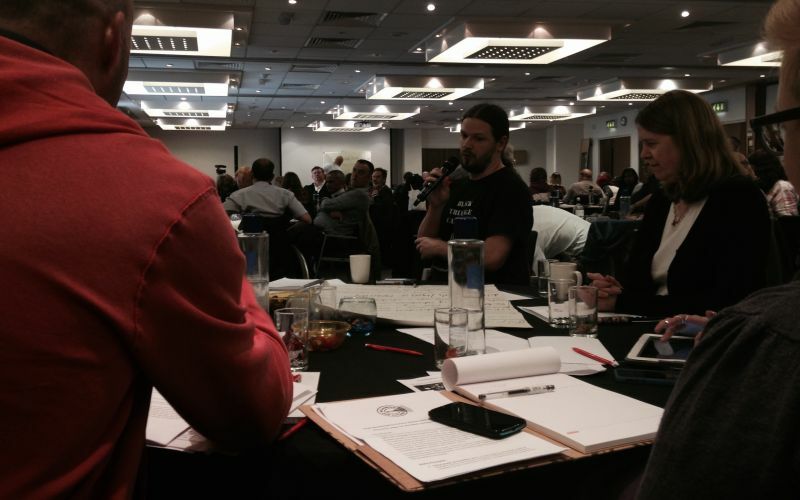 The conference (pictured) organised by the Reclaiming Our Futures Alliance (ROFA) produced an overwhelming consensus on the need for a new umbrella organisation to represent disabled people and fight for their rights. More than 100 people and 36 DPOs attended the conference, hosted by Disability Sheffield in a Sheffield city centre hotel. ROFA was formed in 2012 by Disabled People Against Cuts (DPAC), Inclusion London, Equal Lives, The Alliance for Inclusive Education (ALLFIE), People First and Sisters of Frida, and now also includes Shaping Our Lives, Equalities National Council and the TUC disability committee. The alliance has so far been operating without funding, but has still produced a national conference in 2012, a UK disabled people’s manifesto, and a shadow report on the UK’s progress in implementing the UN disability convention, as well as being involved in high-profile campaigning and direct action protests. Now it wants to expand to become a genuinely national network. That move is likely to spell the end for the UK Disabled People’s Council (UKDPC), which has been beset for years by serious organisational and financial problems. Mark Harrison, chief executive of Equal Lives, formerly known as Norfolk Coalition of Disabled People, told the conference: “UKDPC doesn’t exist. It is a dysfunctional, disbanded organisation, so there is not a national organisation of disabled people. He said that would allow ROFA to join international organisations of disabled people, such as the European Network on Independent Living and the European Disability Forum. Harrison also said it was vital, in a time of government austerity, to build “powerful, strong, sustainable DPOs that can support disabled people in local communities to live independent lives”. He said that non-user-led disability charities and disability businesses would not do that, and nor would companies such as Atos and Capita that “live off the backs of disabled people”. Tara Flood, ALLFIE’s director, said the conference had made it clear there was a need for a national, collective, representative organisation of disabled people and their organisations. Among the issues raised by delegates as possible priorities for ROFA were the importance of human rights in every aspect of disabled people’s lives; challenging the dismantling of the welfare state; the right to a living income; the impact of abuse and violence; the need to build the capacity of DPOs; the need to mainstream disability equality; direct action; the need for good quality evidence; inclusive education; the need to communicate the impact of cuts to the public; access to justice and legal aid; social care and independent living; and cuts to the Access to Work scheme and disabled students’ allowance. Tracey Lazard, chief executive of Inclusion London, said after the conference: “There were huge amounts of energy and goodwill and consensus in the room about what we need to do. It is likely that ROFA will change its name, after several delegates expressed concern that it did not yet mention disabled people. It will now work to develop formal terms of reference and membership, a website and other online tools, an annual campaign action plan, an annual policy and practice plan, and organise an annual conference, set up a national steering group, and raise resources to fund its work.